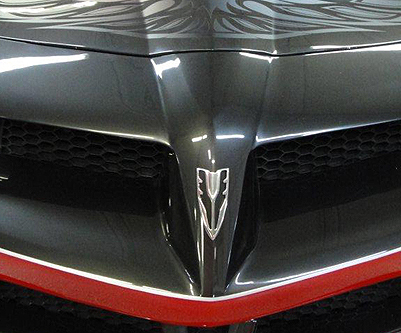 Restore A Muscle Car has developed a progessive TransAm concept car based on a 2010 Camaro. 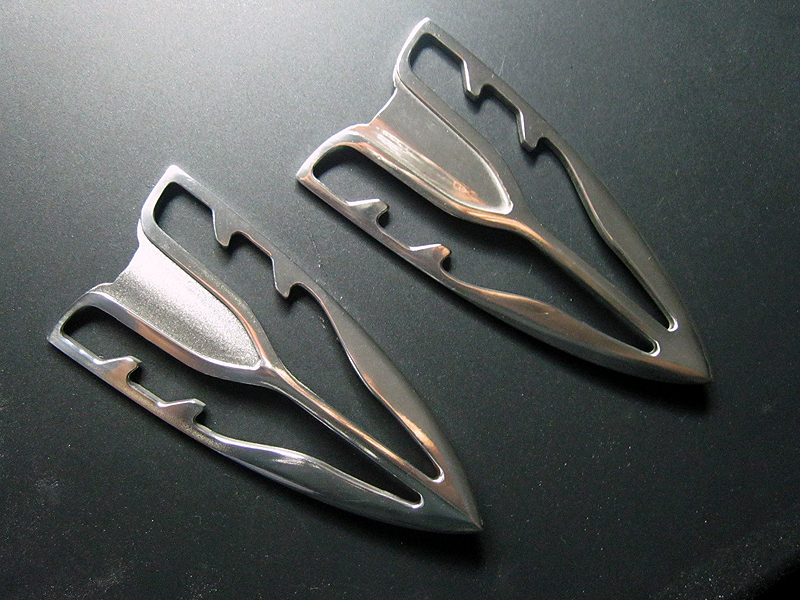 third_shift|studios produced emblems in a colaborative efforet with the car designer Ben Hermance. 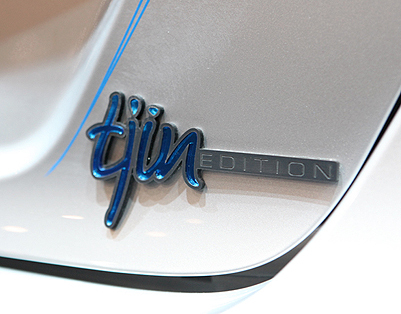 The Tjin Edition team built 8 unique cars for SEMA 2010 and required distintive branding from third_shift|studios to tie them all together. So you think Pontiac is dead? Well think again. 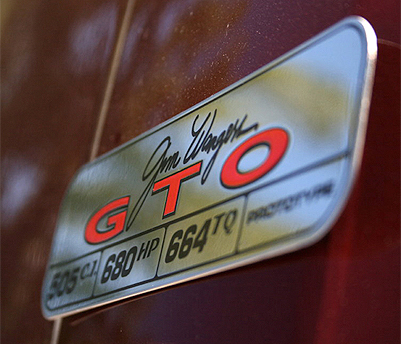 With Kevin Morgan's concept TransAm due for production launch in January, car designer Jim Wangers has resurected the Firebird's kin in the shape of a 1969 GTO Judge! The mucle cars will be brought to life by Big 3 Performance; built on a custom RS chassis with corvette suspension and boast a street pounding 680 HP churned up by a fire-breathing 505 cubic-inch iron block! 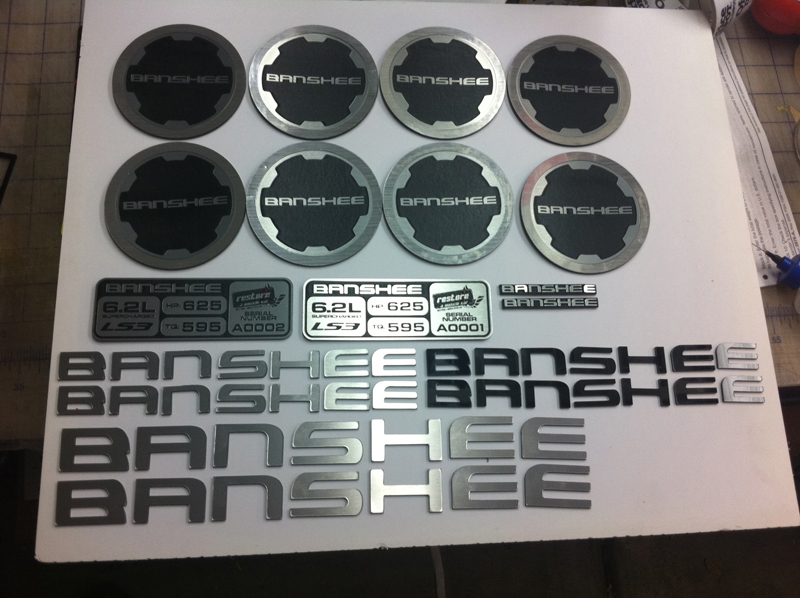 Each monster will be clad with a unique mirrored stainless steel engine build plaque & ID# by third_shift|studios. 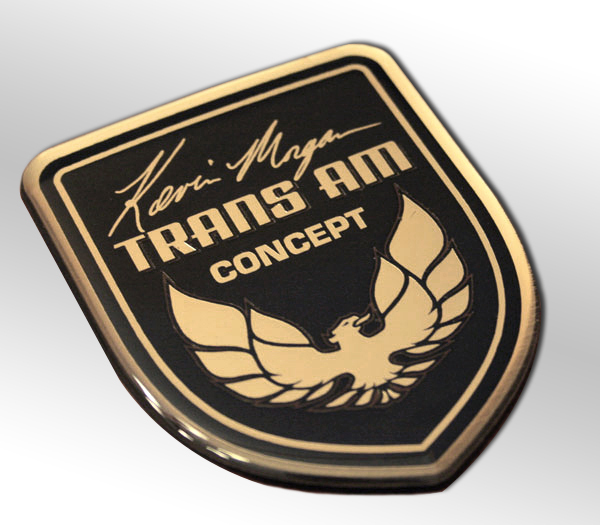 At the begining of August, 2009, Tod Warmack of TransAm Depot, Florida, contacted third_shift|studios to initiate emblem development for the Kevin Morgan concept Trans Am. 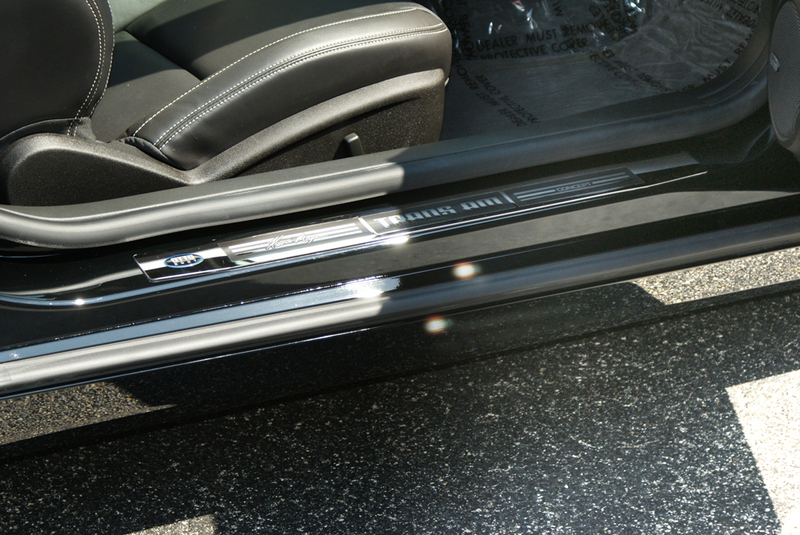 With only one month and little time to spare, ts|s happily accepted the challange and created a variety of beautiful accents for both the interior and exterior of the car. ts|s even developed radical new processes to enhance the visual appeal for the expected audience. 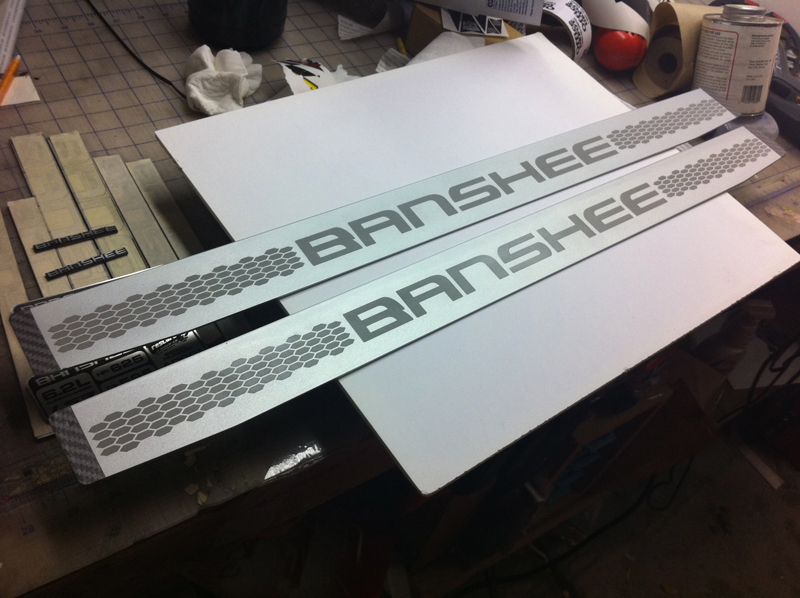 Items included: laser engraved stainless steel door sills, ForgeLine centercaps manipulated with concept artwork, fender badges, interior door-crests and dash-plaque. 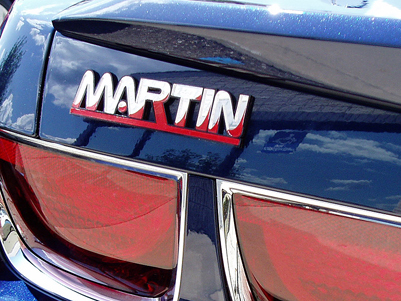 These powerful, 427 cubic inch, 5th-Gen camaros are made to order with ts|s limited numbered dash plaques, engine plaques and Martin logos. Click here for more info!